我们的故事 Long Long Time Ago is a brand new movie directed by Jack Neo. 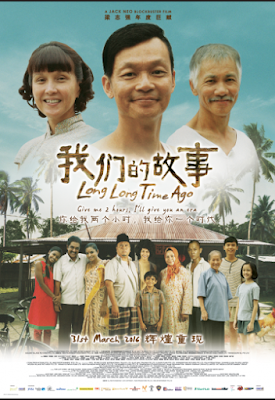 The film commemorates Singapore's 50th birthday and stars Aileen Tan, Mark Lee and Wang Lei as the main casts. The story spans from 1965 to the early 1970s. Heavily pregnant Zhao Di, the unwanted second wife of an older man, was chased out by her husband's family and forced to return to her own family. She gives birth to a pair of twins, Shun Fatt and Su-mei, and due to unfounded superstitions plus economic pressures, Zhao Di is forced by her harsh patriarch father (Getai veteran Wang Lei) and her second brother (Mark Lee) to give up Su Mei for adoption. Zhao Di survives one adversity after another with her family members and friends. As she struggles to make her living, she bears witness to some of the major challenges and milestones that our fledgling nation faced in the early years. As a breadwinner in her family, Zhao Di go from selling soya bean milk and bean curd from a makeshift push-cart, where she has to contend with frequent spot-checks by the health inspectors and gangsters demanding protection money, to setting up a stall in the canteen of a factory at the start of Singapore’s industrialization programme. Mark Lee's portrayal as Ah Kun a rumors maker and transmitter. Being the first son, he is the self-deserving brother who thinks of himself as the alpha male in the family. Despite Zhao Di helping him out every time he gets into trouble. His greediness lead him to betray his family. He is cling to the mistake instead of correcting it. 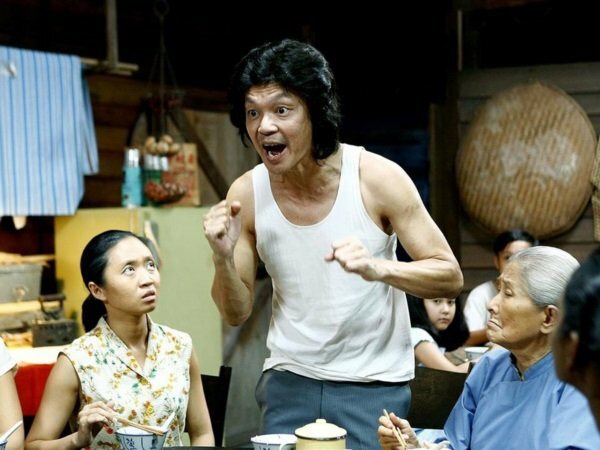 While Suhaimi Yusof portrayal as Osman ,Zhao Di's good friend who helped her get on her two feet when she was down and out. His character brought the much needed comedic relief to the movie as a contrast to the struggles of Zhao Di. Over the years, the people witnesses every step of the nation’s growth. A touching story line that you will not want to miss this. It is no secret that Neo is a big fan of nostalgia, and ‘Long Long Time Ago’ is probably his boldest attempt yet to translate his own personal experience into a compelling portrait of history. His enthusiasm and attention to detail is right up there on the screen – not just in the visually accurate representations of the ‘kampungs’ and streets of pre-HDB Singapore supplemented with painstakingly sourced archival footage, but also in how he captures the heartbeat of ‘kampung life’ through the norms and values of its people.